The Playaway® is portable player pre-loaded with content: No CDs, DVDs, downloading or internet needed. Just press power and play. Playaway® titles are offered at many facilities that include: The Mayo Clinic, Univeristy of Pittsburgh Medical Center, New York Presbyterian Hospital, The Heart Hospital Baylor Plano, South Pointe Hospital at Cleveland Clinic and also are being provided to our soldiers down range and through Army Hospital libraries. 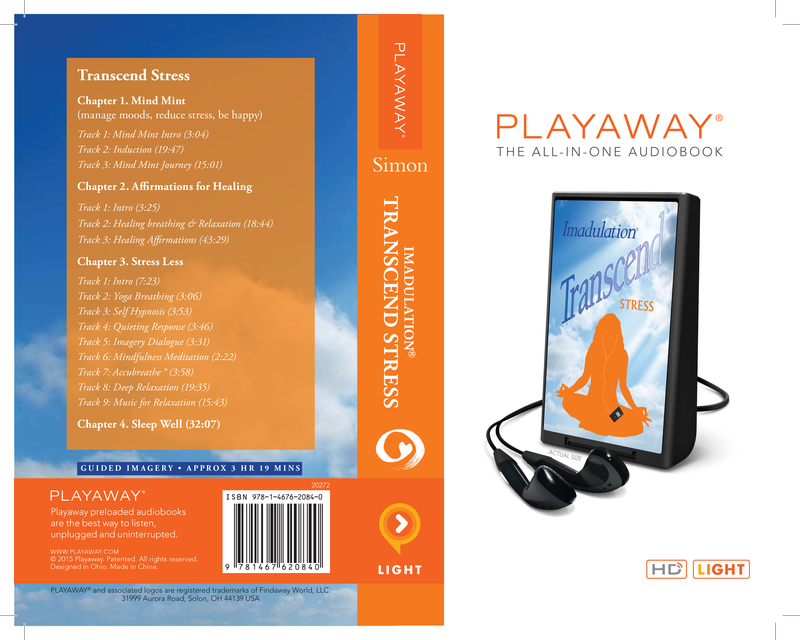 This popular Playaway® contains the titles: Mind Mind, Affirmations for Healing, Stress Less, and Sleep Well. The comprehensive content contains guided imagery and hypnosis to address anxiety, depression, cognitive restructuring and sleep issues.